The Americans among us will have been enjoying U.S. and Japanese PSOne imports through the PlayStation Network for some time, but those of us across the Atlantic have been left to jealously look on. But that won't be the case for too much longer. 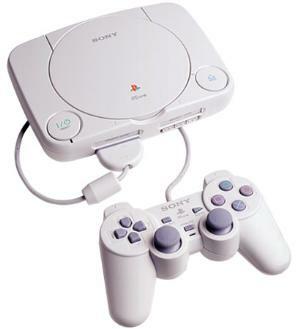 Sony Computer Entertainment Europe has announced on its blog that U.S. and Japanese PSOne emulations are currently being prepared for release in European PlayStation Stores. A release date hasn't been confirmed for any titles at this time, however, Ross McGrath of the PlayStation Store Team says that "there are a few that are already in process and you will start to see them publishing in the future." Don't expect a torrent of import titles to appear on PSN next week, though: McGrath notes that publishers who own the rights to PSOne titles that have previously been available in the U.S. or Japan will be required to apply for their release on the SCEE PlayStation Stores. These titles will also need to be rated by the appropriate ratings board for each territory. McGrath confirms that each and every title will be published "as is," with their original English or Japanese content, and no changes to the original release will be made. All titles will run at 60Hz only and will therefore require you to have a display capable of 60Hz in order to play them properly. This also means that if a PAL version of a title has been unable to pass QA in SCEE, but the NTSC version is already available on the PlayStation Store in SCEA or SCEJ, we can look at publishing that version instead. We cannot simply take the US version and publish it immediately, as it has to be reprocessed for SCEE, but at least we know the title should already be relatively bug-free. With this news in mind, we'd love to hear from you what titles you'd like to see available in Europe for the first time – make yourself heard in the comments and with the most requested titles we will speak to publishers on your behalf. I'm certainly looking forward to these titles appearing in the PlayStation Store here in the U.K. Which games you be requesting through Sony?